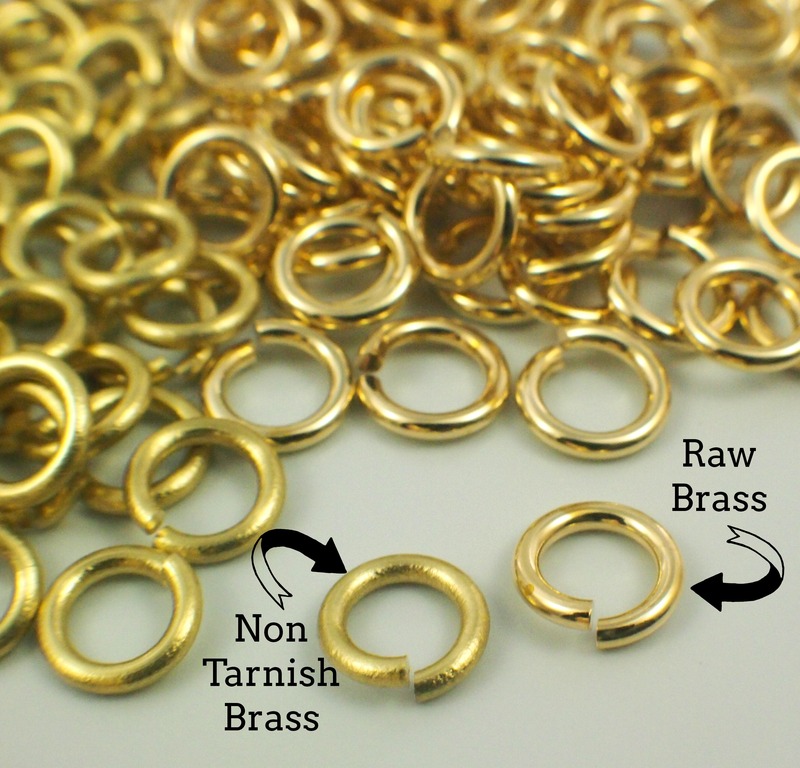 What’s the difference between Non-Tarnish Brass and Raw Brass? It’s a simple question but one I hear frequently. 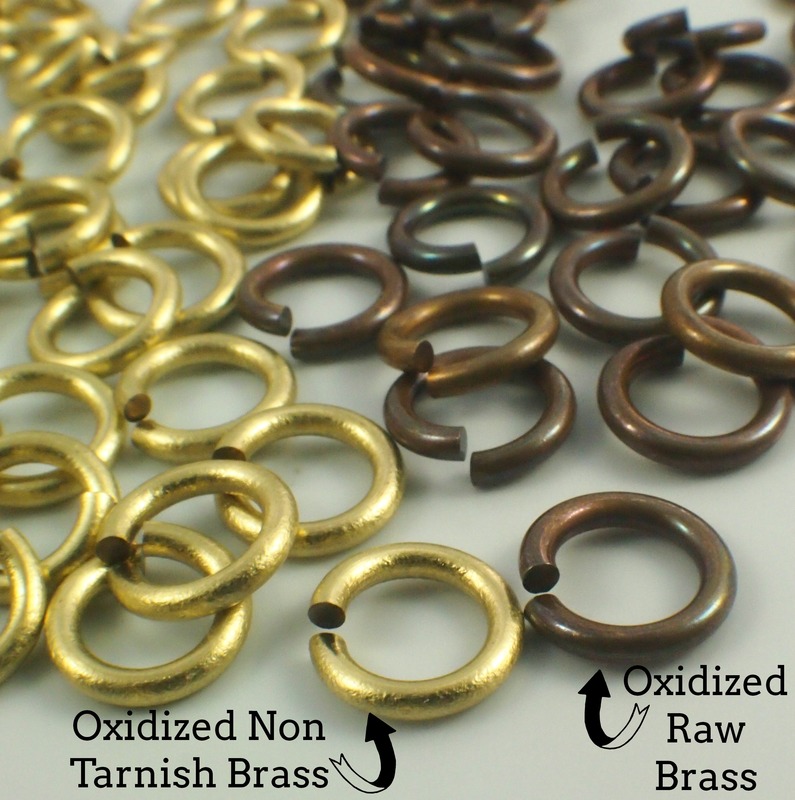 Non-Tarnish Brass is brass wire, coated with a clear enamel coating to prevent oxidation. Like the enamel coating on our other types of wire it can be chipped, or wear off. However UNLIKE normal enamel coated copper this wire is pure brass underneath. There is NO copper in Non-Tarnish Brass. Raw Brass is just brass. No enamel coating, no protection from oxidation. I took the rings in the picture above and oxidized them. As you can see, the Non-Tarnish rings only oxidized on the ends, while the Raw Brass rings were able to completely oxidize. In jewelry this will work the same way. Raw Brass with tarnish. Non-Tarnish Brass will not tarnish until the protective coat begins to wear away.